I mainly use Blender for the modeling, and GIMP for texture work. 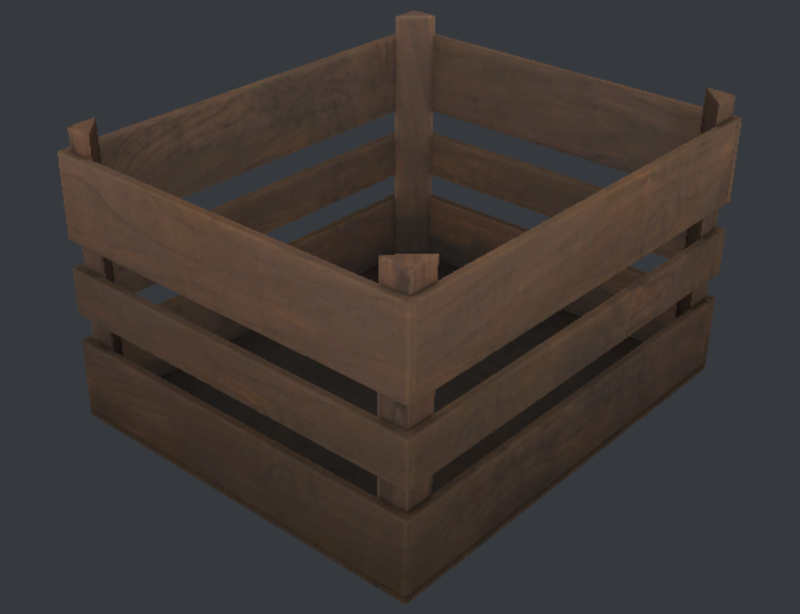 Currently, I'm learning to use the Substance Painter and Designer tools. Edited by Momoderator, 02 August 2017 - 03:13 AM. Hi and welcome to the forums! If you use 3dsmax Blender, you may export your models in .ase format (remember to change it from .ASE to .ase, TDM doesn't like caps lock). You can also use .lwo with certain exporter plugins (I use 3dsmax, but other forum members should be able to help). Also keep in mind that the triangle count should be relatively low for TDM models, so stuff like tiny beveled edges should rather be baked to textures. Any low poly tricks you know will be more than welcome in that regard. If you need detailed instructions on how to export and test static meshes in TDM, either use TDM Wiki or let us now here, if you encounter any problems. Edited by Judith, 02 August 2017 - 03:20 AM. Hi and welcome to the forums! If you use 3dsmax, you'll need to export your models in .ase format (remember to change it from .ASE to .ase, TDM doesn't like caps lock). Also keep in mind that the triangle count should be relatively low for TDM models, so stuff like tiny beveled edges should rather be baked to textures. Any low poly tricks you know will be more than welcome in that regard. If you need detailed instructions on how to export and test static meshes in TDM, either use TDM Wiki or let us now here, if you encounter any problems. I actually use Blender most of the time, so I'm going to have to find me an .ase exporter. I'll ready up a test map and some models to get familiar with the engine. Sorry, I missed that. TDM uses either .ase or .lwo, I think there are proper Blender exporters for that. .lwo tends to be a little bit slimmer than .ase in terms of weight. 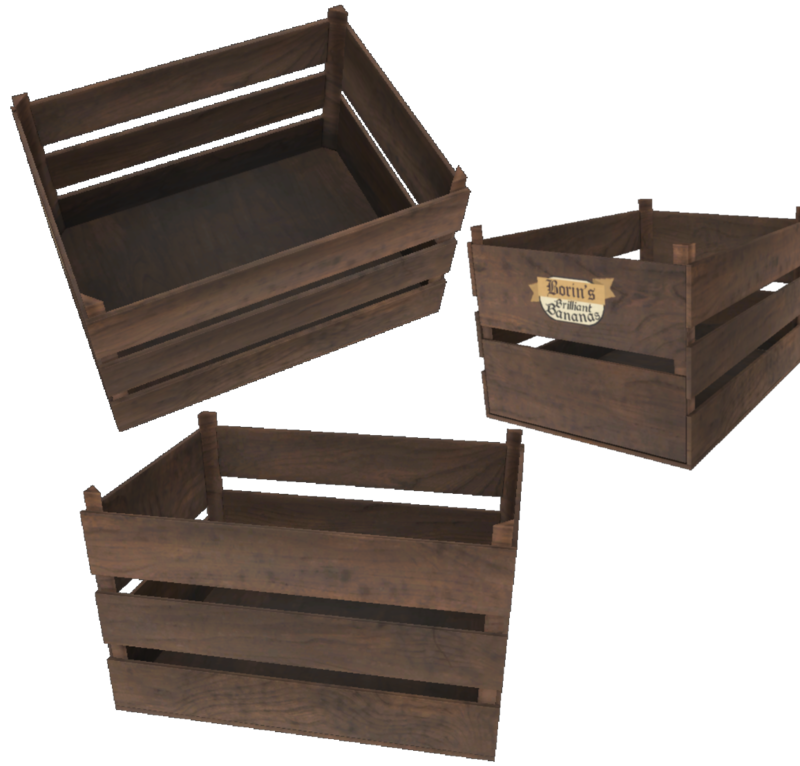 Then I the mtrs made according to the guide on the wiki, named them tdm_model_crate(1, 2 and 3 respectively)_wood and put them in my materials folder. 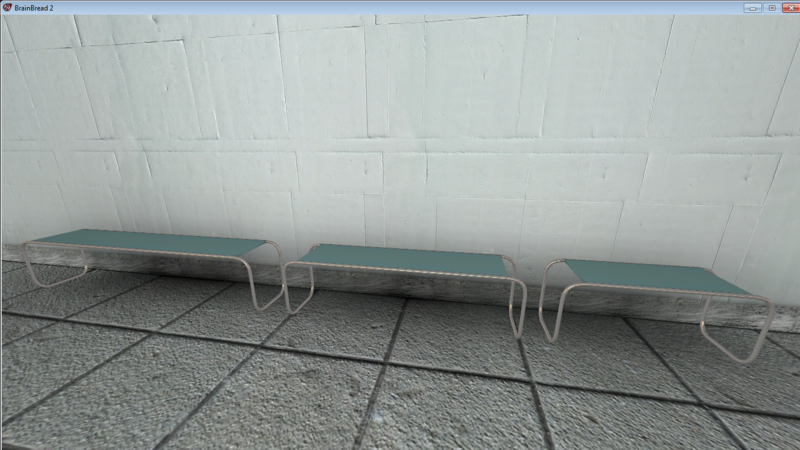 And the models still come up with the nasty SHADER NOT FOUND texture. Edited by Momoderator, 02 August 2017 - 07:55 AM. This will get you up to speed when it comes to configuration. It's slightly outdated (e.g. you can alt-tab in full screen now), but it will do. The actual workflow depends on chosen format. I use 3dsmax and .ase, so I can help you with that, .lwo requires a bit different approach, AFAIK. I am using .ase, too. Edited by Momoderator, 02 August 2017 - 07:36 AM. You need to export your .ase model with a single texture applied. Then open the .ase file in the notepad. Go to the *MAP_DIFFUSE section. Paste your material path in the BITMAP section, but use //base/ prefix, e.g. //base/textures/etc. Edited by Judith, 02 August 2017 - 07:56 AM. Indeed, like judith pointed out, it is better in the long run to create and work within your own mission folder (what we call a "project"), as it is much easier to be organized and play test features without mixing with other projects you might be experimenting with. Follow the video above for that. You might also want to check out the starter map pack page in the wiki, as it provides a map with all the basics you would need in your map, such as items, different lights, readables, etc. Though this is not needed for small test maps, you might be more confortable editing inside it instead of creating every file and folder from scratch (you would just copy the pk4 to your fms folder, install the mission in game, point dark radiant to it, as in the above video, and start editing from there). The dmap process for this map can be rather lenghty though, so its your choice. You can also start with the A-Z tutorial, also in the wiki, that covers all you need to know in order to create maps from scratch. This is important because modelers need to familiarize themselves with mapping, since testing the models in game effectively will require knowing how to place lights, how to texture the surroundings correctly, etc. That said, getting a no draw model can mean different things. There could be a typo in your material paths, or your ase "bitmap" path (that points to the material). You could be missing an editor texture, used by dark radiant to texture the model inside the editor. I would revise all the paths inside the ase and then the material file, see if evertyhing checks out. Remember to place all your folders inside your project folder, and point DR to it, so it knows where to look for them. You can unpack the tdm files to see other material files. Copy one that has what you need, and change the name and the paths to suit your model, using a previous example is the easiest way to do this. I have some models in pk4 that you could use as examples, and an exporter that actually works with the latest blender version, let me know if you need them. Ps: Pretty neat modeling, I specially like the careful texturing that brings them to life. Welcome to TDM. Edited by RPGista, 02 August 2017 - 09:43 AM. 1) Use .tga textures for your material, so you can update and preview them instantly. You can work on Gimp files and use Export shortcut repeatedly (Ctrl+E). If you're working with layers, Gimp will export it as RGBA image, but don't worry about it now, you can save it as flattened image later. 3) Every time you change something in material definition, use reloaddecls command to refresh material declarations. You can bind it to a key too. 4) Some changes in material definition won't be reflected right away, like noshadows keyword for example. If reloaddecls doesn't help, check vid_restart command, or reload your map. The problems might also be the material files. Can you post them here? To avoid problems, you can use simple material definition for now: just _d, _n, and _s textures. Btw. you don't need a separate _ed texture nowadays, just paste the path to your diffuse. Also, it's best to use software like Notepad++ for editing material files. Not only does it inform you about e.g. open brackets, but it also contains line numbers, which is useful because in-game console will output line numbers in its error messages to help you debug. Edited by Momoderator, 02 August 2017 - 01:06 PM. Just to clarify, I made a folder inside fms/ and put all the material, model, etc folders there. Yeah, I use Notepad++ all the time. Edited by Momoderator, 02 August 2017 - 01:08 PM. It is at first, it's much faster once you get used to proper workflow. The material looks fine, although you have the same material path and diffuse texture path. I'd make some prefix for diffuse, just to be on the safe side. 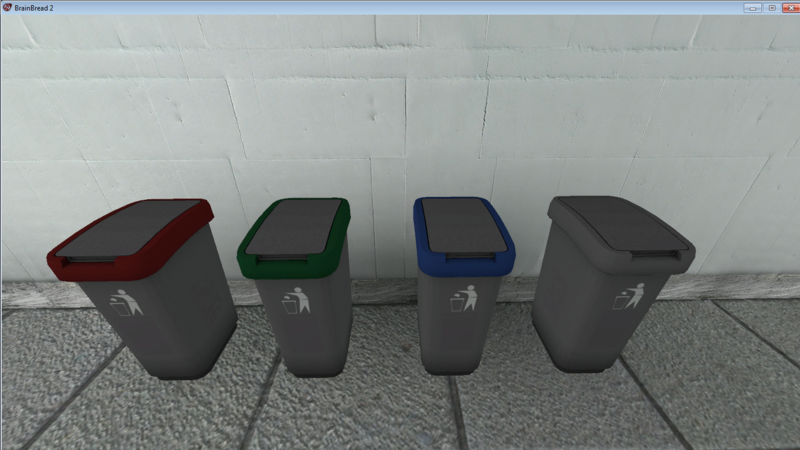 Also, did you export the .ase with texture applied, and from an empty scene? .ase format saves all the materials you have in your scene, in the model file, so that might be the problem as well. When you open the .ase file, you should have material count 1 and material 0 as the only material. Edited by Judith, 02 August 2017 - 01:43 PM. 1) I have my main mission directory in fms folder called "do", as for mission initials. Since I want to have all my models in a separate foklder structure, but quickly accessible from the model browser, I put them in fms/do/models/do folder. Only the last "do" folder shows up in the browser. The material path is "virtual", but it mimics the texture folder structure to make things more simple. (It's not always this way, e.g. with light shaders, but more on that some other time). Also, I skipped the frob stage since this mesh won't ever be frobbed. *COMMENT "AsciiExport Version  2,00 - Fri Apr 21 17:29:10 2017"
Actually, you don't need that path in material name, this was one of my first models and I didn't know this was unnecessary You can put it in BITMAP section only, and you'll be fine. Hope this helps somehow. Edited by Judith, 02 August 2017 - 02:00 PM. It definitely was extremely helpful, thanks a lot! Now the problem is, the model and textures show inside DarkRadiant, but are still pitch black in game. EDIT: It's actually not even showing the model in-game, just a pitch-black cube. Edited by Momoderator, 02 August 2017 - 03:44 PM. That error means it can't find your model. If your model is in your fms folder, then you need to point TDM to that folder. He already has setup instructions in previous posts. 1. Make your mesh, UVs, textures, etc. Assign the diffuse texture to the mesh (with Standard material). IMPORTANT: when adjusting pivot, don't use 3dsmax Align to the World option. This will change reference coordinates for stuff like specularity and cubemaps, making everything look weird. You can move pivot around, just don't rotate it. When in doubt, reset the pivot. 2. In your modifier stack, use Collapse all, convert to Editable Mesh. 3. In 3dsmax, you need to export the mesh from a completely clean scene to get a clean model definition in .ase file. Save your scene with your models, use Reset option to clear everything in the scene and material library, then import the model from your saved scene. Use lower caps for everything, and no spaces. 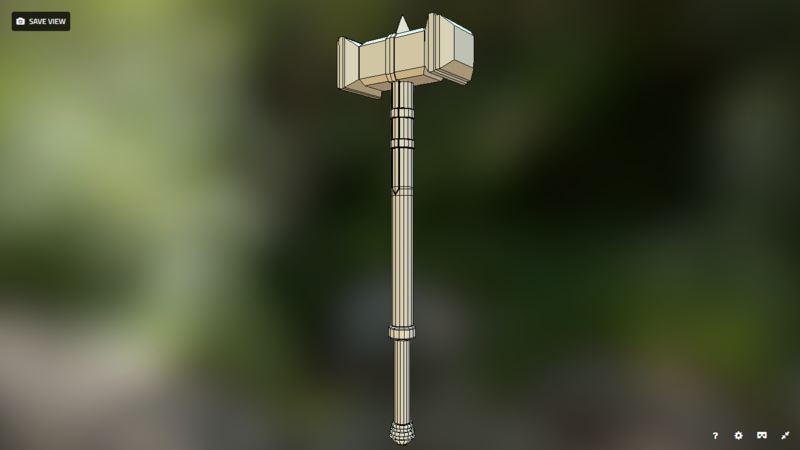 Then add diffuse, specular and normal definitions. 7. Now your .ase model will be visible both in model browser and ingame. 8. If you want to use multiple materials, import your mesh into reset scene, then split it into several meshes corresponding to different materials. Make all the Standard materials and add Bitmaps to their Diffuse channels. Then apply materials to proper meshes. Now export the whole scene to ase (don't use Export selected!). Remember to change the extension file from ".ASE" to ".ase". Now edit BITMAP sections for all the different materials, as you do per single material. Save the mesh, preview it in editor and in game. Ah, I somehow had missed the very important step of actually installing my "project". Now after I installed it, the model isn't showing up at all, nor is the console giving any errors about it. 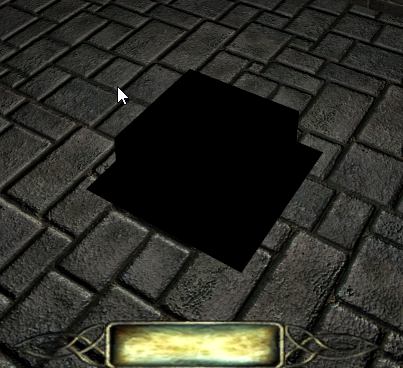 I re-exported from an empty scene, double checked all materials, still shows everything fine inside DarkRadiant, but doesn't show anything (not even the black cube) in-game. Edited by Momoderator, 03 August 2017 - 04:29 AM. Drop me a full copy of your FM either here or via PM and I can have a look at it for you. is your mesh made of tris? If your polys are quads, they won't display. The export plugin I'm using triangulates them automatically. Try loading the map with the model, open the console, type "condump log" and then copy and paste log.txt from your darkmod folder here. If it is now finding the model, it's unusual for it to display nothing at all.